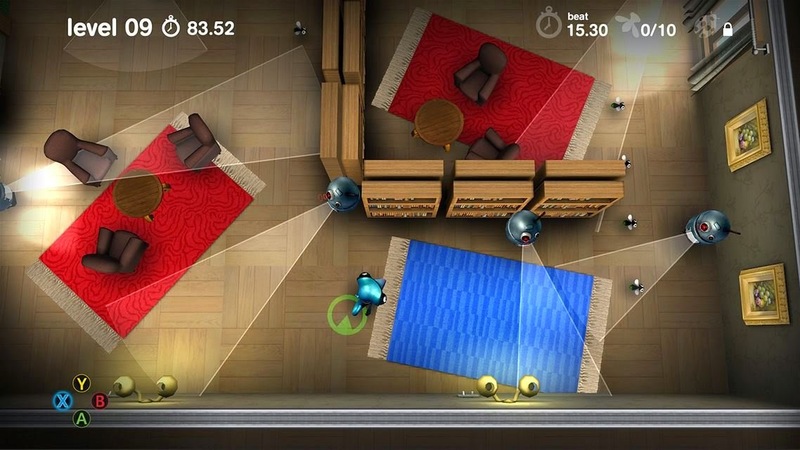 A top-down, arcade puzzler, Spy Chameleon put players in control of a chameleon as he sneaks his way through 75 levels of increasing difficulty. 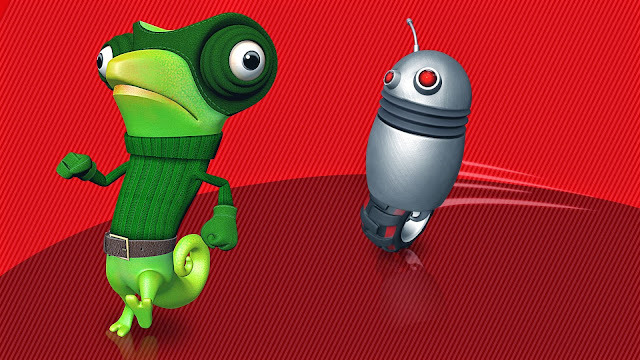 With indie developer Unfinished Pixel's first venture into the ID@Xbox arena, does Spy Chameleon stop on red or go with green? Read on to find out! Spy Chameleon follows a simple base mechanic and expands on it as you progress further in the game. As a chameleon, you have the ability to change to four different colors to blend in with your surrounding. The four colors are paired with the four face buttons on the Xbox One controller: 'A' for green, 'B' for red, 'Y' for yellow, and 'X' for blue. With this ability you can avoid detection by the various security measure by standing on top of carpets, splattered paint, colored floor tiles, and more. However, the camouflage only works for objects on the floor. You cannot, for example, blend into a blue chair by standing next to it. Spy Chameleon boasts five missions with fifteen levels each for a grand total of seventy-five levels. As you progress new stealth mechanics present themselves to help you solve the increasingly difficult puzzles. Patrolling mice can be stopped with a switch that turns them into buff sentries, office drawers can be pushed to block security cameras vision, and a Metal Gear esque cardboard box even makes an appearance. Not only do the puzzles themselves increase with difficulty, but the challenges become just that when you reach the higher levels. There are three challenges for each level: Fly, Time, and Ladybugs. Each level has ten flies to collect to complete the Fly Challenge. This is the only required challenge to complete as progressive levels do not unlock until after completing X amount of Fly Challenges. The Time Challenges are for all the speedrunners out there. Race to complete each level under a set amount of time or compete for the top spot on the leaderboards. The third challenge, the Ladybug Challenge, tasks players with collecting all the Ladybugs in each level. The Ladybugs are placed in areas that force the player to use skill, speed, and creativity to grab the little critters. Spy Chameleon is fun puzzler with enough content for fans of every type to enjoy. 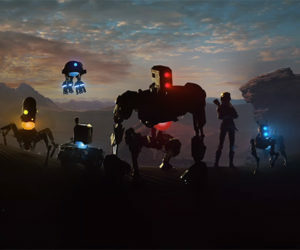 With seventy-five levels, three challenges for each, and two difficulty settings, the game boasts more than enough to compete with the ever increasing indie competition. But at the $5 asking price, Spy Chameleon is a steal for any gamer. Simple on the outside but robust on the inside, don't judge a chameleon by it's color. What I played: 10 hours completing all 75 levels on Hard and unlocking 23/30 achievements.